Soakaway calculations and radon gas in Rhondda and the South Wales area. In recent years Welsh Water have placed increasing obstacles to new developments disposing of both foul and storm water into the existing sewer system. With stormwater in particular they ask for soakaway disposal to be investigated as a possibility. Soakaway design is covered by the Building Research Establishment Digest 365. Rainfall figures for different areas of the country are given and using the area of the site expected run off can be calculated. The main factor then is the permeability of the ground (soil infiltration characteristics). This can be calculated on site using a machine excavated pit. 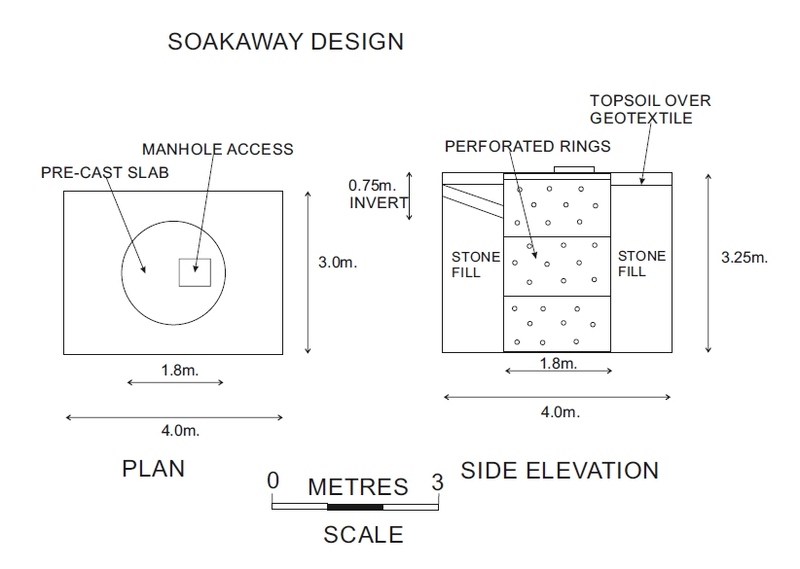 The results can then be used combined with other factors to design a suitable soakaway. I can offer the whole package of permeability testing, calculations and final soakaway design. It should be emphasised that due to prevalent ground conditions in many parts of South Wales a soakaway is not always a possible option. 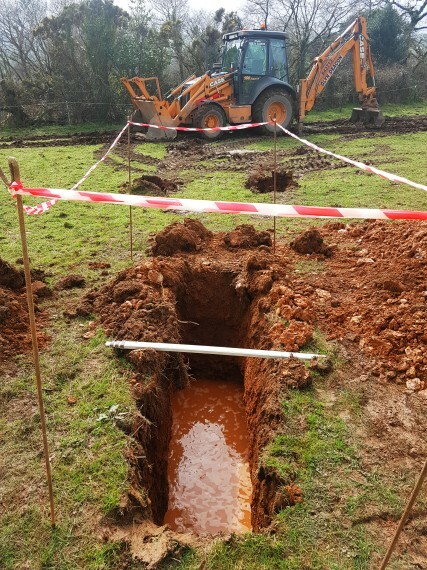 However the tests still need to be carried out in order to prove to Welsh Water that connection to the mains is the only possible course of action. In many areas of the country Radon gas is considered a hazard. In South Wales the potential is rather varied dependant on the exact location. A quick, official rating for any address can be produced very cheaply to satisfy planning conditions.